Discussion in 'Buck Knives' started by AfghanWarrior, Jun 24, 2012. That's OK, as I just got my 3rd NIB one for $20. They were MSRP $90.00 back in 2004. With a 3" Blade, 2.6oz, and flashy colors. I think the price is a steal. I think they are a great buy at $20. :thumbup: I have two blue and now a lime green (daughter will like the color). Great find AW. Can anyone draw from your Revolutionary well? OK. Okay. Cool knives. 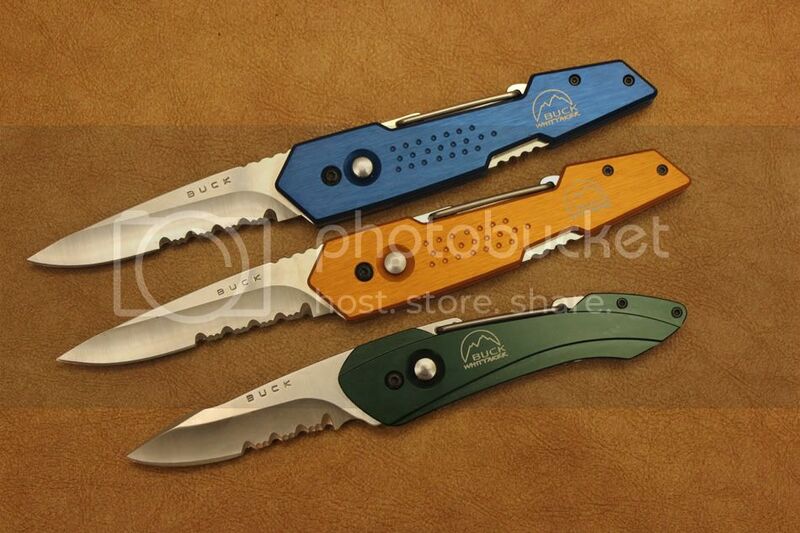 Buck knives. Check and check. Built-in bottle cap lifters! Ahhhhh taking care of the inner man. Check. I've seen $37 delivered but not $20. 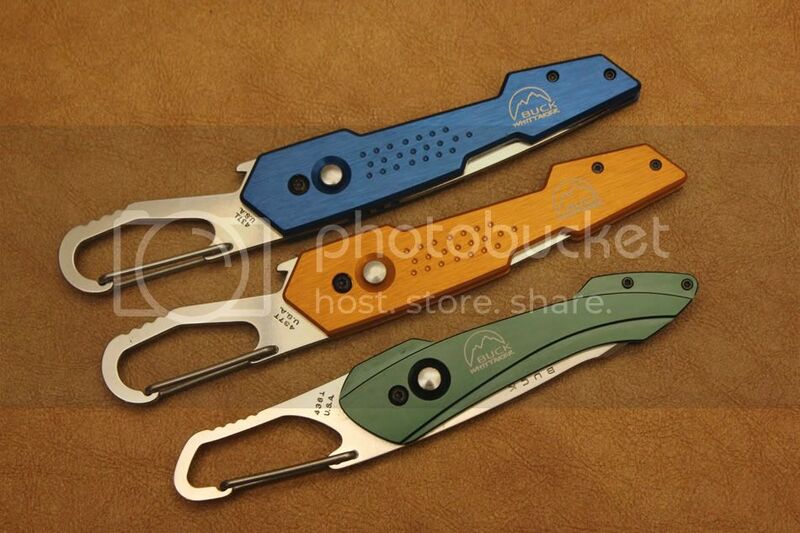 I have a small collection of the Whittaker "knives" simply because I find them interesting in design and I happened to like the anodized aluminum most of them use for their handles. I refer to them as "gadget" knives. 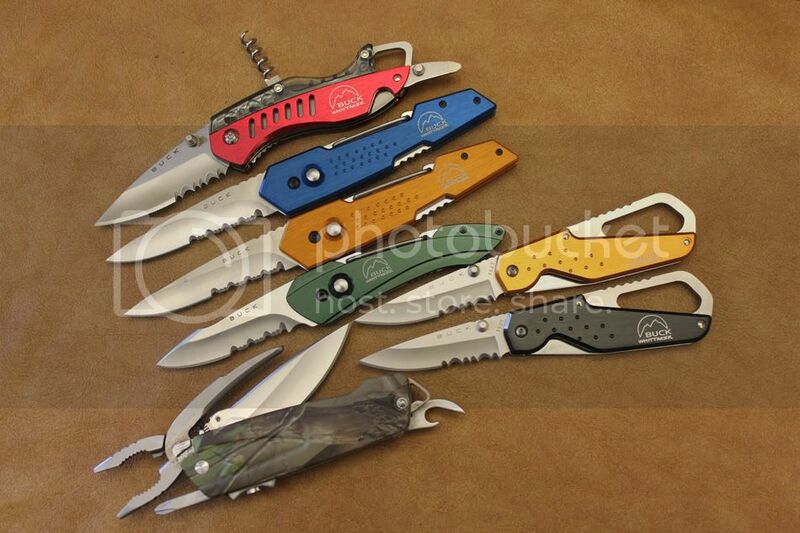 They for sure aren't anything I'd consider a serious knife or one that I would put into my EDC bunch. I know the daughter would like the purple 437 version. I will keep out a eye on one of those.